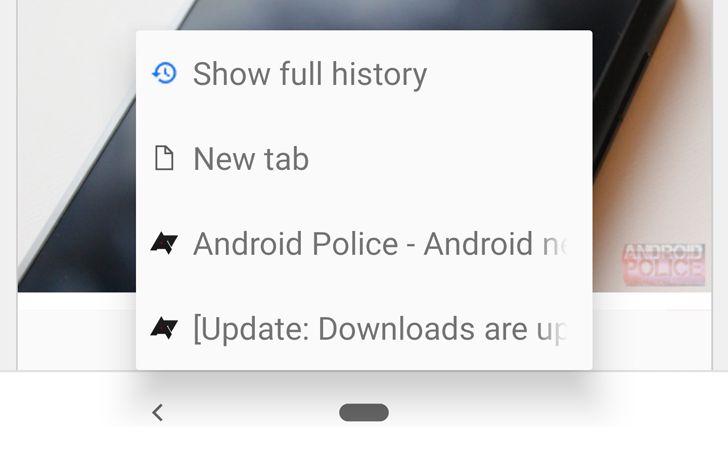 One of my most wanted features in Chrome is a quick way to access a tab's history, or even pull up my complete browsing history, to go back to a page or article I was checking earlier. Starting with Chrome 70, which is now in the Canary channel, there will be a flag that will let me do just that. 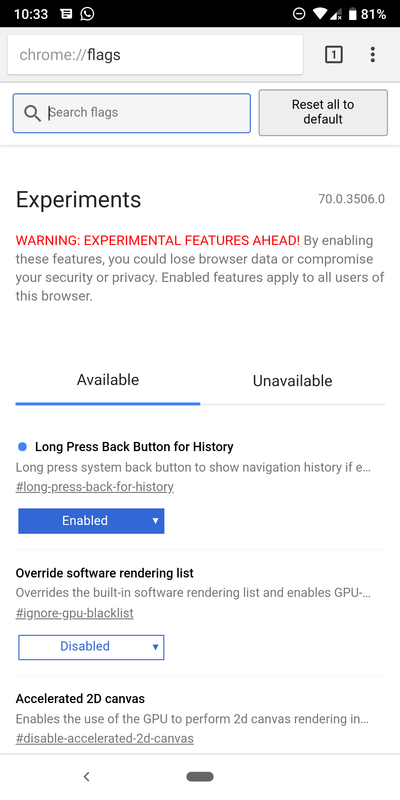 If you're on Chrome Canary, you can pull up the chrome://flags page and enable #long-press-back-for-history. 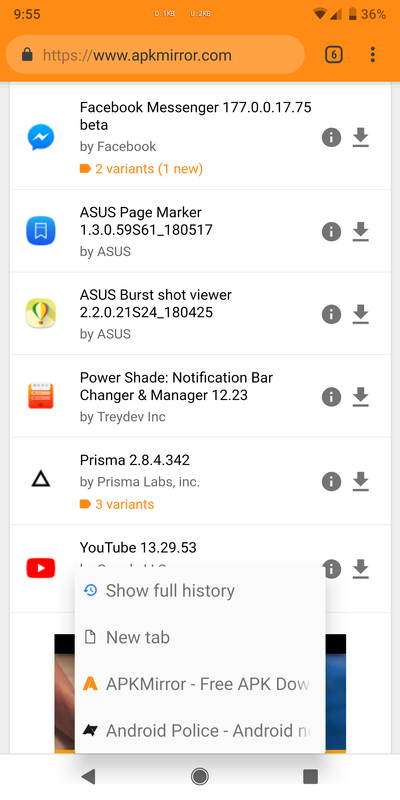 Once the browser is restarted, a tap and hold (or long press if you will) on the back button brings up a menu from the bottom with your current tab's history, plus two options to open a new tab or show your full browsing history. It's easier to access than the top overflow button, handy, and can save you from tapping repeatedly on the back button if you want to navigate to a page you were on much earlier. If history repeats itself, this flag will likely trickle down to the dev, beta, and stable channels along with Chrome 70. In the meantime, only the Canary channel supports it, so grab the latest v70 from APK Mirror or the Play Store widget below to test it out.